THERE’S SOME GOOD news for Irish fishermen today. After tense negotiation in Brussels, Ireland has managed to fight off a reduction in their fishing quotas. The EU Commission had proposed to cut white fish quotas by 20%, and prawn quotas by 14%. However, the Minister for Agriculture, Food and the Marine Simon Coveney said that after a “hard argument” they managed to change the European Commission’s mind to bring about a fundamental change in the fishing industry. Ireland has managed to increase their quota on white fish, which will result in an extra €1 million per year on a catch already worth €20 million. 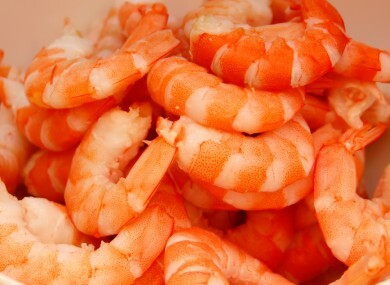 Prawns, which are Ireland’s biggest white fish fishery, was under threat, but Ireland has now secured an increase of 3%. The catch is already worth €60 million each year. Speaking on RTÉ’s Morning Ireland, Coveney said that it was not good news for everyone. The Celtic Sea quota has been reduced. It is a mixed fishery made up of cod, haddock and whiting. The EC had proposed a cut of 64% in the cod quota, however, it’s now only going to be cut by 13%. Minister Coveny said there were other positive outcomes from the talks, such as the end in discarding fish. Up until now, fishermen who caught fish that were not in their quota had to discard the dead fish back into the sea. He said it “makes no sense” in terms of sustainability or for food security. Now fishermen will have to land all fish they catch, bringing an end to discarding. There is also new fishing gear to be introduced, which Coveney described as having an “escape hatch” in nets that allow small and juvenile fish escape. Coveney said there is a fundamental changes coming down the line of how the fishing industry operates. Email “Like Dublin Bay prawns? Irish fishermen are allowed to catch more of them ”. Feedback on “Like Dublin Bay prawns? Irish fishermen are allowed to catch more of them ”.